I’m looking for the “glass half full” thing in our weather the last days of January, and it’s a little hard – I think the glass froze! My friends and family will attest to the fact that I don’t like hot weather (I get whiny when it goes over 80), but the bitter cold of the last few days have me rethinking that. I do have some reason for optimism, though. February 2nd is the mid-point of winter, so we’re halfway to spring as of tomorrow! Another thing to boost my spirits is the sun – at the beginning of the year, we had less than 9 hours and 9 minutes of daylight. As of today, we will have gained almost an entire hour of daylight since then, and by the end of the month, we will gain another full hour. I don’t know about you, but that makes me happy! Oh – and the temps this weekend are supposed to be 50 degrees higher than they were on Wednesday. 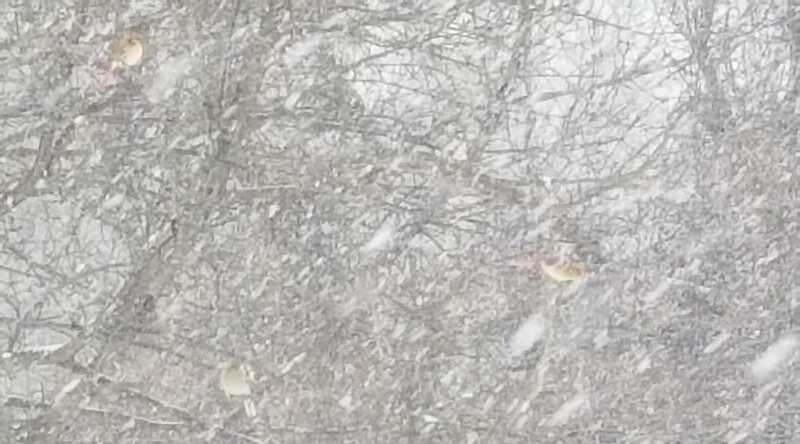 You just have to love Michigan weather! When you are out shoveling your sidewalks and driveways, don’t shovel the snow onto your lawn or planting beds if there is salt in it. This month is the best time to prune many trees and shrubs, as well as roses. You want to get this task done while the plants are still dormant. It is especially important to prune oak trees while they are dormant, as they are extremely susceptible to oak wilt if pruned in warmer months. 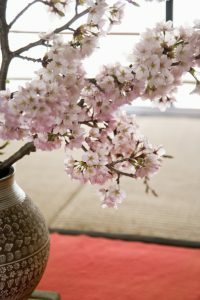 While you’re out pruning, one reason to consider pruning spring-blooming trees or shrubs is so that you can bring some spring into your home a little early by trimming off some branches and bringing them indoors for forcing. If we are get some days when temperatures are above freezing late in the month, consider an application of dormant oil for your trees. Keep bird feeders filled at this time of year, as natural sources of food are getting scarce or are hard to get to under all the snow. Also keep bird baths full and thawed, so that your birds have a good supply of fresh drinking water. A heated birdbath or a deicer in your birdbath are perfect for this purpose. On days when it’s just too cold (or snowy) to even think about doing anything outdoors (like the past few days! ), there’s still plenty to do inside. Clean and sharpen your tools, if you didn’t in the fall, so that they are ready to get to work when you are. 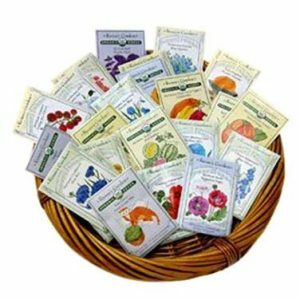 Go through seeds leftover from last year – many of them will still be perfectly fine for planting this year. If you are going to start plants indoors this year, make sure you have everything you need – seed starting mix, pots, working lights, heating mats, etc. Though most vegetable and herb plants don’t get started indoors until March, rosemary is one plant to start now, since it takes quite a while to germinate and then grow to a suitable size for transplanting outside. Starting perennial flowers indoors this month also gives them more time to get to transplanting size, and makes them more likely to bloom the first year. Be sure to clean out any previously used pots you want to use for repotting of house plants or for outdoor container gardening. 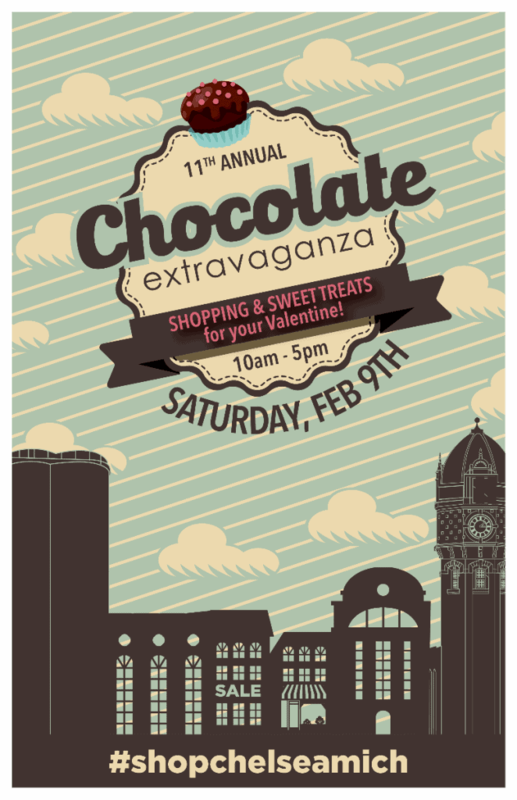 Join us at the Garden Mill for Chelsea’s 11th Annual Chocolate Extravaganza! We will have a make-and-take activity for kids, specials on Valentine’s Day gifts, and sales on Bird Food and Feeders to celebrate National Bird Feeding Month!